If you’re passionate about books and ideas and want to delve deeper into the study of literature, an English major or minor is for you! By the time you graduate, you will be able to communicate effectively, think critically and write fluently: vital skills for success in graduate school or the professional world. 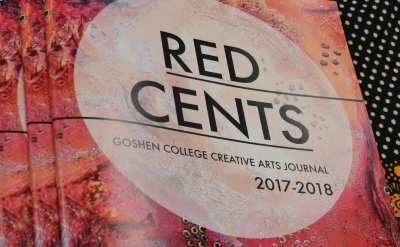 Whether you’re interested in publishing your writing or serving on an editorial board, you’ll get plenty of hands-on experience with our student publications: The Record, the award-winning student-run newspaper; Broadside, an outlet for short poems and prose; Red Cents, an annual creative arts journal; or Pinchpenny Press, a book publisher right on campus. Alongside traditional literary surveys, our literature courses feature special topics courses on graphic novels, banned books and Shakespeare in film. As an English student, you can customize your degree with a balance of literature, writing and language courses. By the time you graduate, you will be able to communicate effectively, think critically and write fluently: vital skills for success in graduate school or the professional world. Watch this video to learn more about the Goshen College English Department’s publishing opportunities. 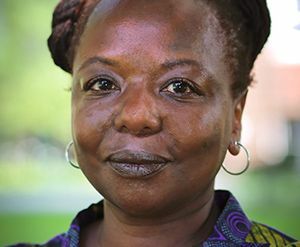 The influential publisher, editor, critic, and broadcaster Ellah Wakatama Allfrey '88 is now Chairperson of the Caine Prize for African Writing. As a professor of TESOL (Teaching English to Speakers of Other Languages) and International Student Adviser, Skip Barnett is passionate about working with students from around the world. Rosanna Nafziger Henderson graduated from Goshen College in 2006 with majors in English and math--not the most obvious path to becoming an authority on food. Aletha Stahl ’89 teaches French and francophone studies at Earlham College, is a registered yoga instructor and former Goshen College award-winning runner. She won the 2016 Goshen College Champion of Character Award. Elizabeth, an English and education double major from Greensboro, N.C. who graduated in 2016, wants to become an English teacher. While at GC, she was the editor of The Record and a co-leader of the Ultimate Frisbee Club. Kate Friesen, an English major, developed a love for farming at Merry Lea Environmental Learning Center and now runs Singletree Farm. Nathan Vader graduated in 2013 with an English writing major and a theater and Bible, religion and philosophy minor. On the side, he edited for the campus newspaper, The Record, authored a book, acted and directed plays.